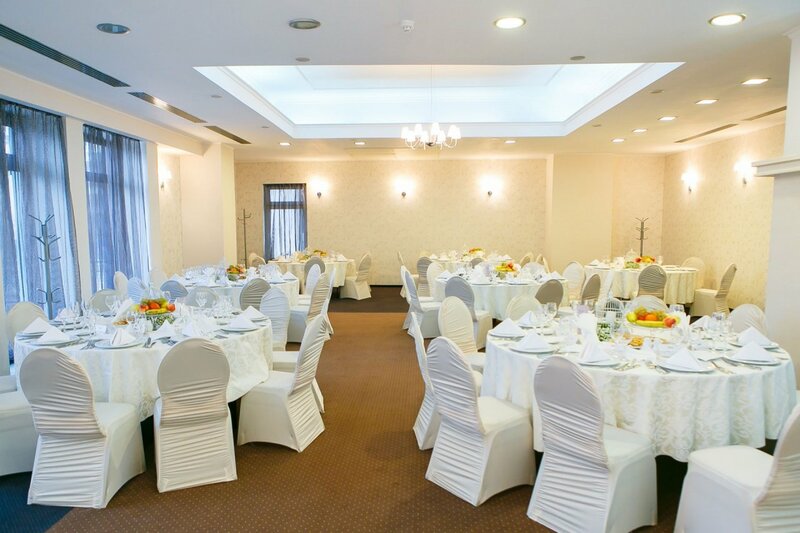 A wedding is a gift in itself. 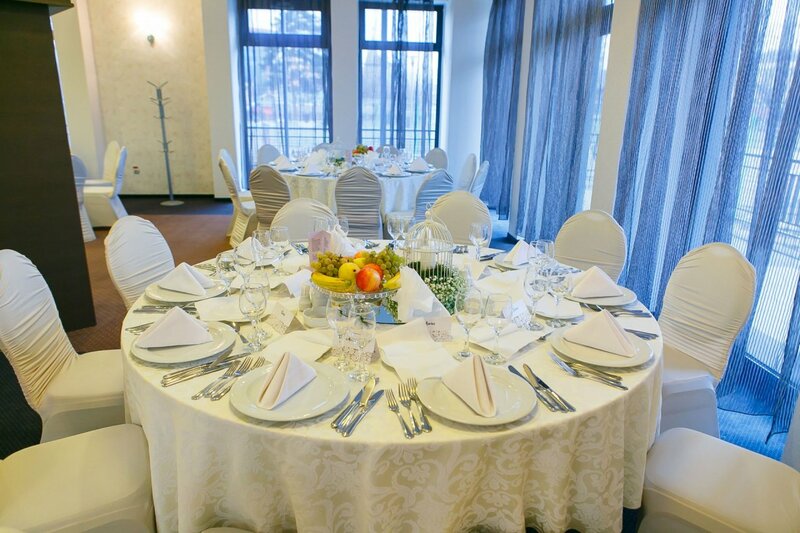 For enchanting, classical-style moments, you can always rely on us for: wedding halls in Brasov, wedding planners who will help you organize a memorable event, and innovative solutions. In the heart of the city, Sergiana Center offers 4 halls in chic colors, with the option of a modular salon that can be divided into 2 independent rooms. A special box for money envelopes. Martini vases for the guest tables. Vases for the bride’s and the godmother’s bouquets. Fashionable floral arrangements. Mirrors and platters for the fruit buffet. 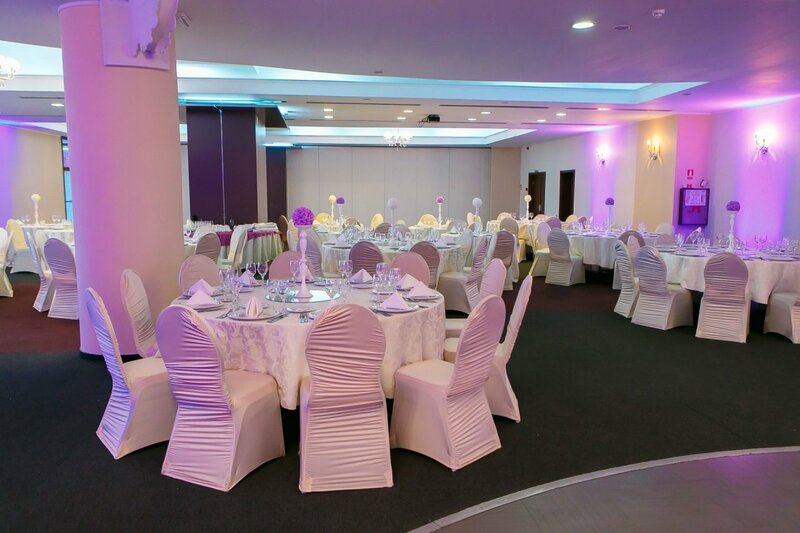 A selection of wedding accessories: cake fireworks, wedding menus, and different color options for table and seat covers - all available in our ground floor showroom. 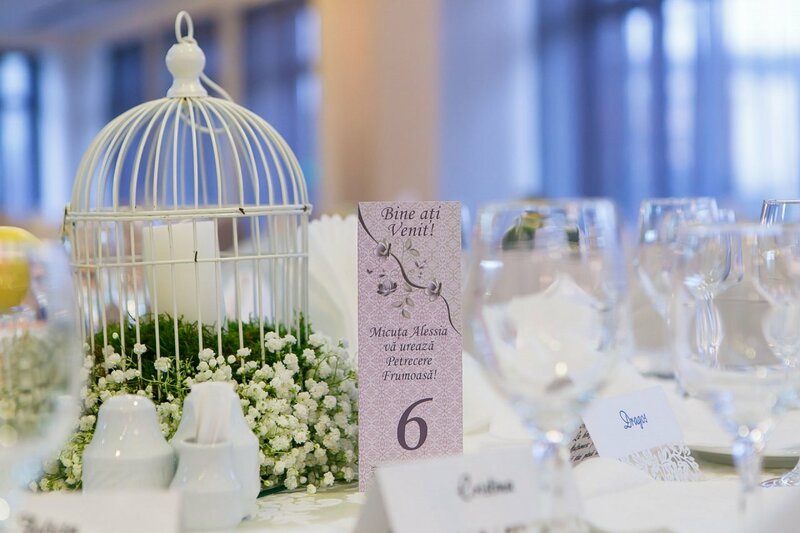 Easy-to-read table counters, so your guests quickly find out at what table they will stay. Tens of delicious recipes. Hundreds of dishes made from local ingredients, from the local Sergiana Farms. You can taste all of them, as a buffet, one month before your event. 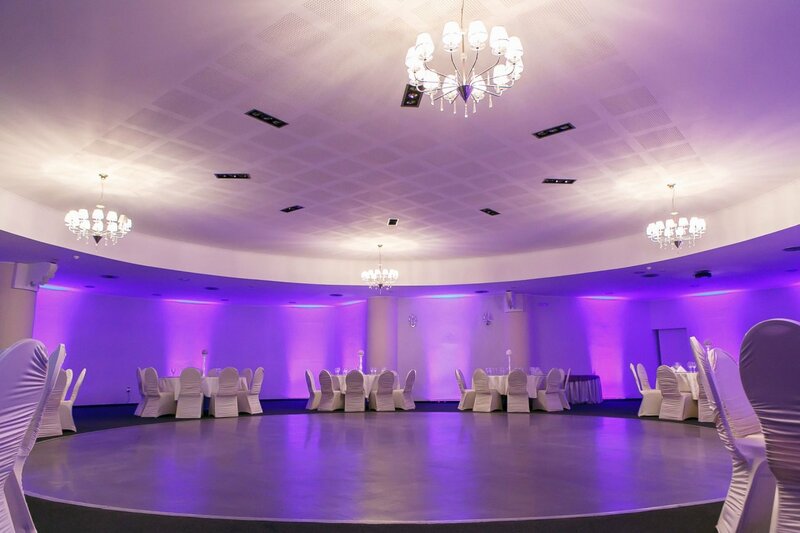 We have the perfect hall for your wedding! You can count on the skills and honesty of our consultants. 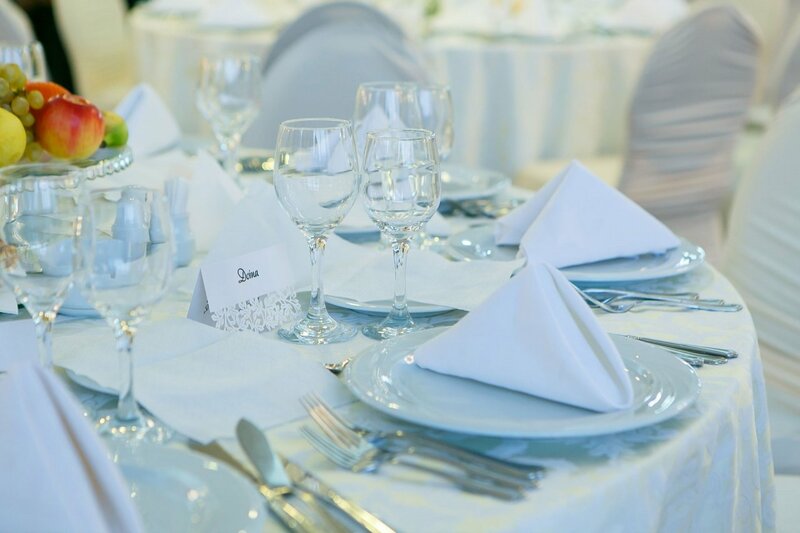 Choose the most charming accessories, the most stylish decorations, and the perfect dishes for your menu.